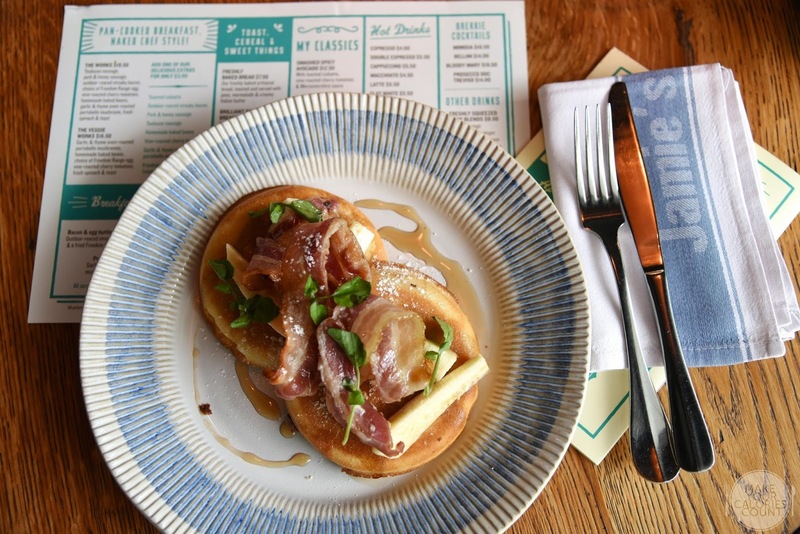 [SG] Jamie's Italian | Brand new weekend-only breakfast menu! 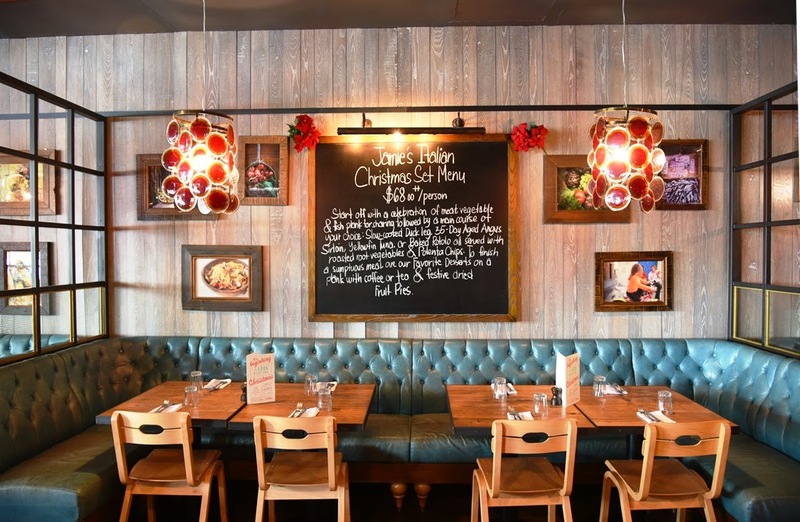 Having visited Jamie's Italian on its first day of opening in Singapore almost one and a half years ago, it has become a popular hunt for us whenever we are in the vicinity of Vivocity. 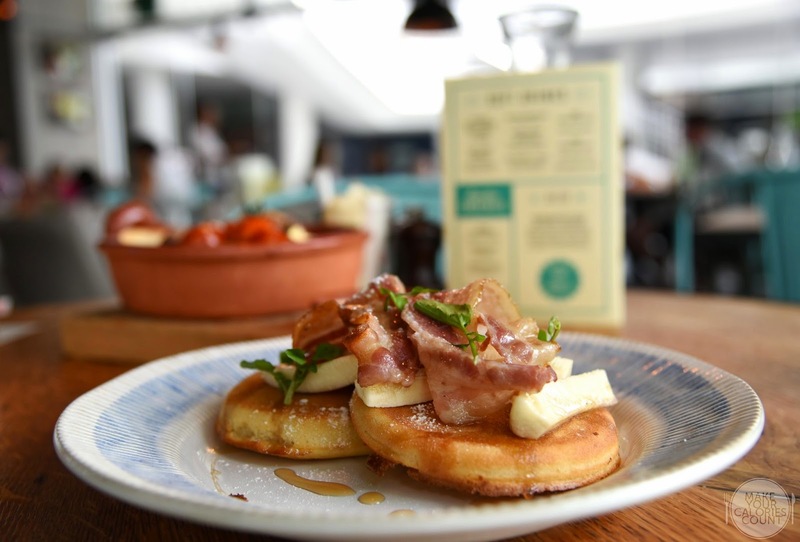 While my previous post discussed briefly on the origins of the brand name helmed by Jamie Oliver, we visited its only flagship restaurant in Singapore recently for its brand new weekend-only breakfast menu! For sharing purpose, I conducted a quick poll among my friends and colleagues to gather their opinion about Jamie's Italian, the results were interesting. While I received some unexpected answers such as 'What's that?' 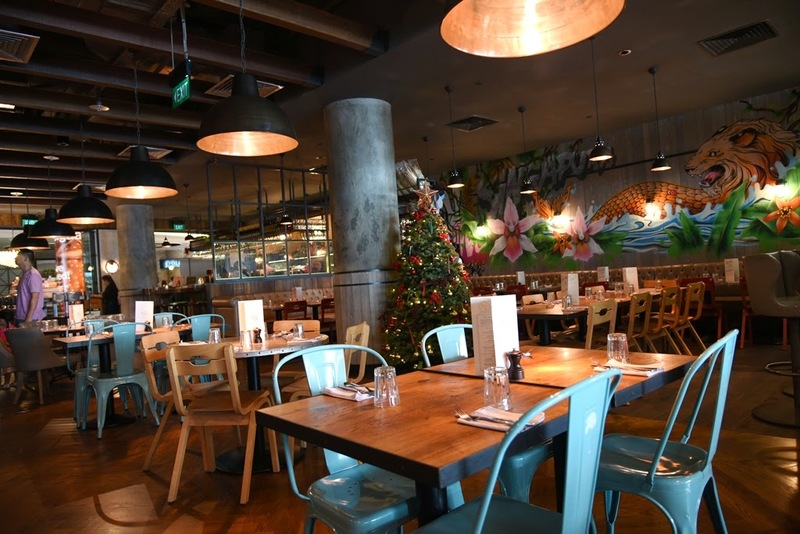 to 'another Celebrity Chef restaurant lor', I was surprised that nobody casted the opinion of Jamie's Italian being a cosy place suitable for families, friends and offers quality food at affordable prices. Being a fan of Jamie Oliver since young, it is no surprise that we were regular patrons of his restaurant when we were still living in UK. 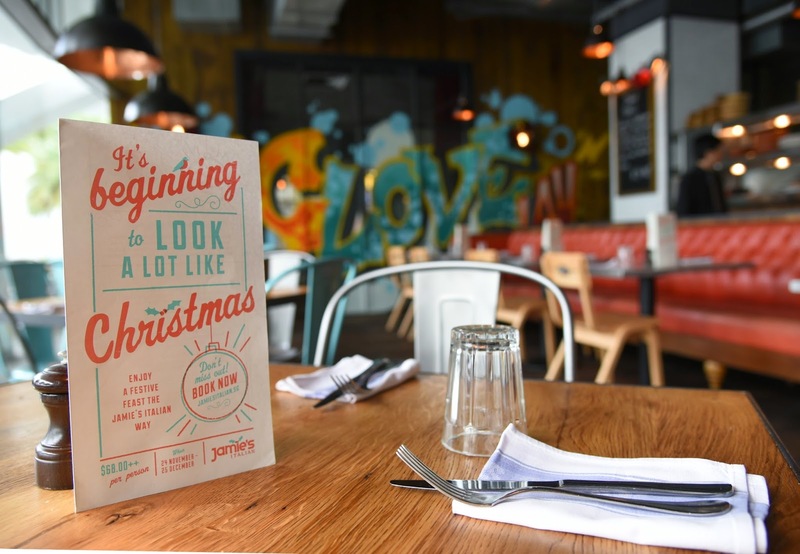 With its growing presence in Asia, especially after his recent opening in Hong Kong, Jamie's Italian remains a fond spot of ours as every visit brings back fond memories of our days spent in UK. 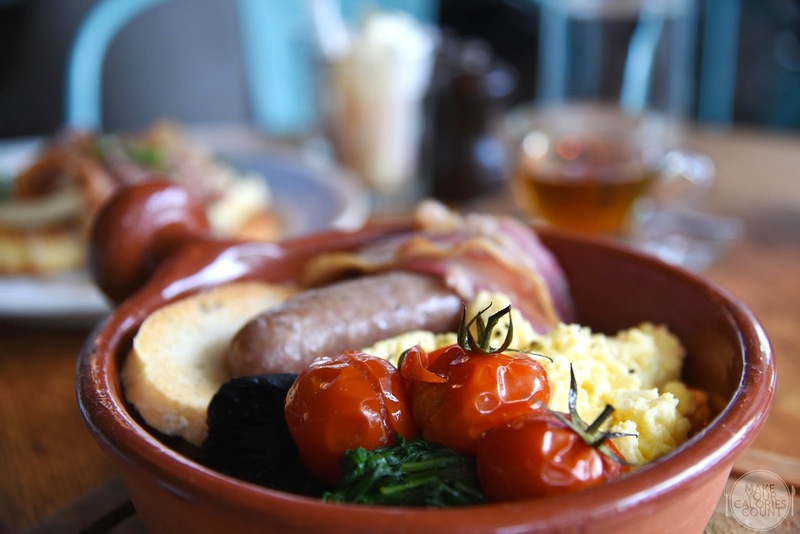 While we are no strangers to the main menu offerings, the pan-cooked breakfast, naked chef style is surely something new to behold! If you are struggling to figure out what a buttie is, just think of it as a sandwich in our local language. 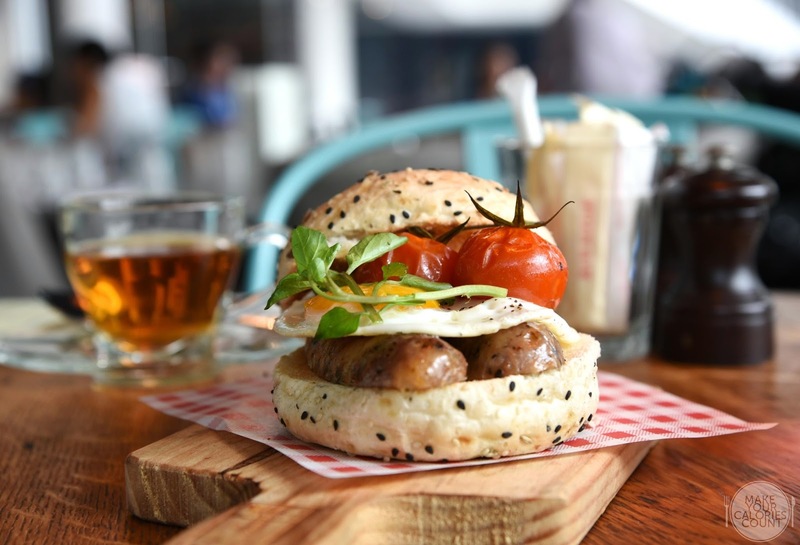 With Toulouse sausages and pan-fried sunny-side up served between a freshly toasted soft seeded bun, the buttie promises nothing but freshness and quality. What we particularly enjoyed was the saucer containing homemade ketchup, so pure that you could taste the richness of those ripened tomatoes. For some reason, I am always sold by the simple yet elegant presentation of serving dishes on planks! 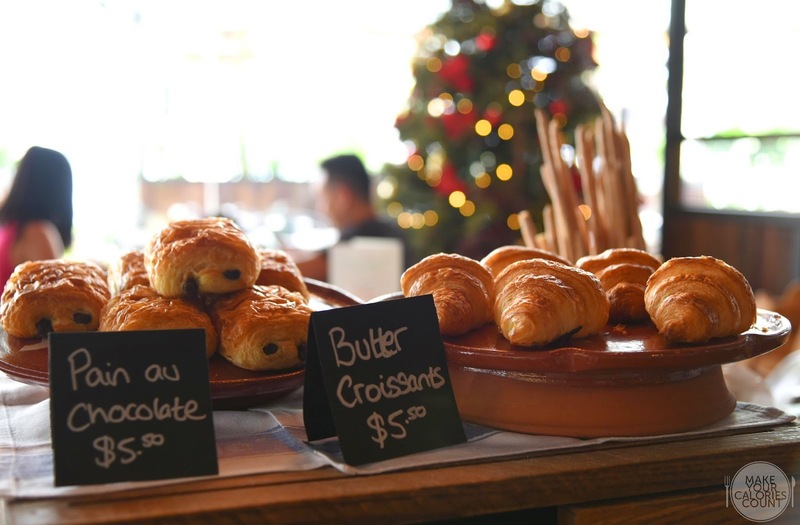 One of the signature must-tries would be 'The Works', similar to 'Big Breakfast' at most brunch places. 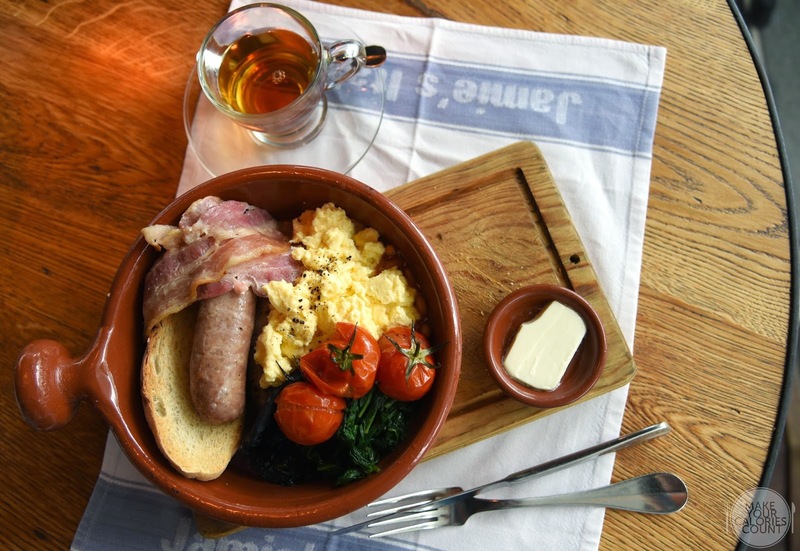 The generous platter consists Toulouse sausage, pork & honey sausage, outdoor-reared streaky bacon, vine-roasted cherry tomatoes, homemade baked beans, garlic & thyme oven-roasted portobello mushroom, fresh spinach toast and a choice of free-range egg. Prepared with Jamie Oliver's recipe, the quality of the Toulouse sausage with its main ingredients - pork, red wine, garlic and fresh herbs won me over. I was similarly impressed with the other accompaniments though we would have preferred it better if the scrambled eggs were creamier and bacons were crispier. This could however be compensated with a luscious spread of the separate serving of Italian Trentino-Alto Adige unsalted butter. Depending on one's palate, we enjoyed the thick fluffy pancakes which each had a lovely crisp texture to its surface. The batter carried a slightly saccharine taste to it which made our calories count. With the savoury bacon balanced by the caramelised bananas, we would have enjoyed it better if there was more maple syrup to go along. Later did we learn that we could actually request for more maple syrup! 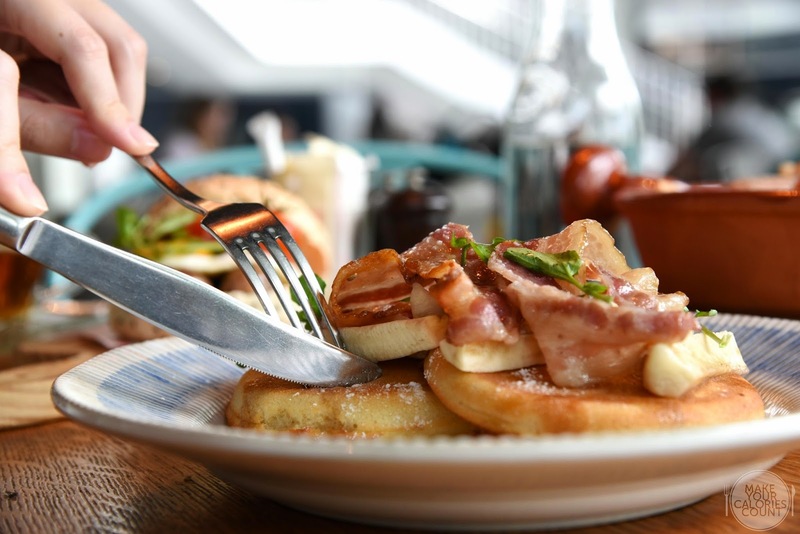 Nonetheless, we would gladly have another plate of these fresh pancakes! 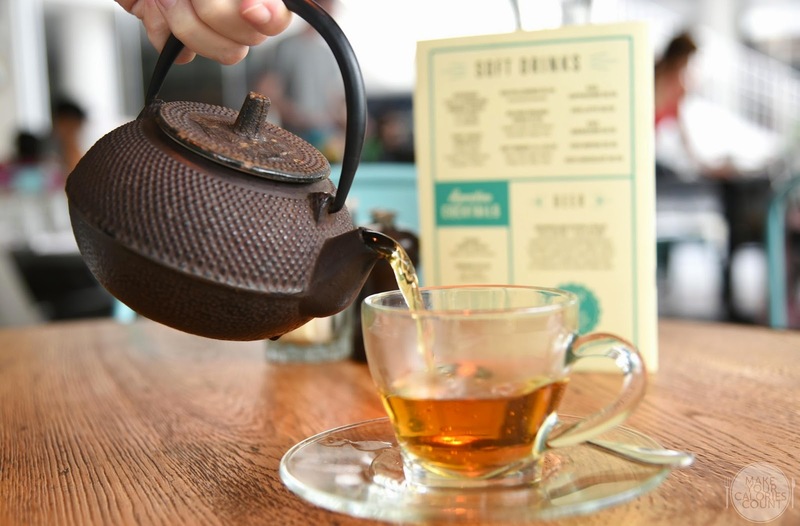 With a selection of tea from Gryphon, do check with the server for the available tea for the day. With staples such as the English Breakfast and Earl Grey, the lady went for the latter and as usual, the fragrance and intensity of Gryphon teas rarely disappoint. Brewing fine Italian coffee, Musetti, the Arabican coffee from the African uplands give your palate a chocolate after taste, vanilla flavoured and soft flowered fruit notes. Certainly one of the finer brews! As usual, expect attentive service from the friendly crew who would drop by your table to check on your food and make sure everything is going 'okay'. It also helps when your server brings food to you with a broad smile! 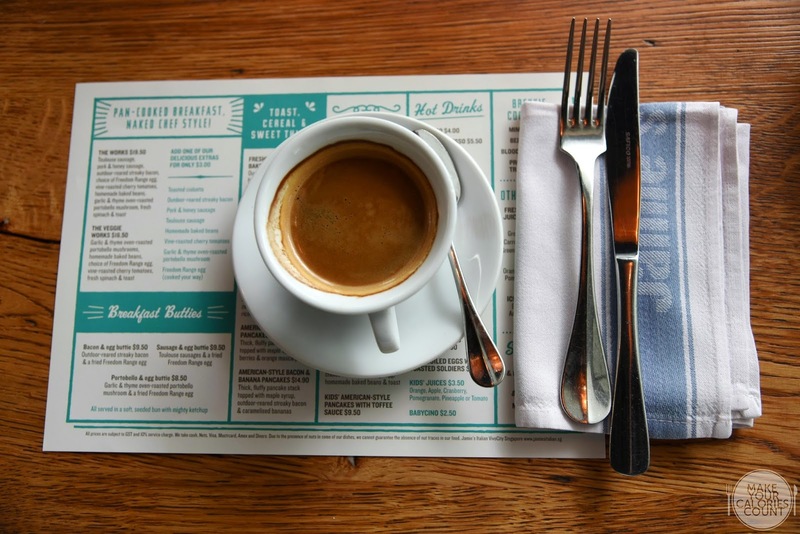 The weekend-only breakfast starts at 9.30am with the last order taken at 11.30am. Offering nothing short of quality ingredients in each of the dishes, we thought that the hearty fare was value-for- money. With a casual ambience, expect to delight your family and friends! P.S: Special thanks to Stef for the invitation and for having us! P.P.S: Photos were taken with Nikon D750, with much thanks to Nikon Singapore!